Successful performances start with quality music furniture from Hertz Furniture. What furniture should you have in a music room? There are lots of things you need for a functional music room. Our selection of specialized music chairs and music stands allows musicians to sit comfortably and correctly so they can play their best. Music marker boards, available in a variety of models, are great additions to any rehearsal or practice room. 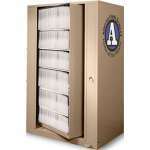 When it&apos;s time to take a break, we offer many instrument storage options as well as sheet music storage. With customer satisfaction as our top priority, you can depend upon Hertz Furniture to help you create the perfect performance. How important is music room furniture? At Hertz Furniture, we know that the way a music room is set up has a direct effect on the way musicians play. No way can a musician put on a top performance if there's a constant need to shift seat positions, adjust the music stand or pick sheet music up off the floor during rehearsals. So your music room furniture is going to be really important if you want to have music in an educational environment. Should I buy music chairs? If you have musicians who are playing while seated, you should definitely invest in music chairs. They have a back angle that helps musicians breathe better while they play. 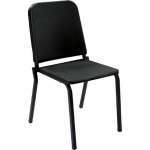 We offer a selection of high-quality musician chairs and accessories in a range of styles and prices. The Melody Music Chair has options for a tablet arm as well as a chair dolly, making it ideal for music rooms and larger orchestras. The Poly Music Chair is ideal for younger musicians. Try our upholstered music chairs for a luxurious look and feel. What should I look for in a music stand? Music stands have a number of elements that are potentially adjustable. While height adjustability is usually a given, angle adjustability is not. 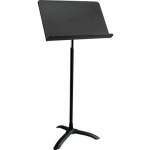 We carry music stands with both standard and advanced adjustability options, in both single and economy multiple-packs. 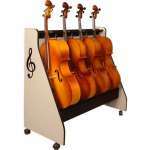 Stand carts allow the simultaneous transport of a large number of music stands, which can be a real time-saver for schools that need to move their stands from the classroom to performance arenas. Now that all our classrooms have transitioned from the chalkboard to the markerboard, our music rooms can do the same. Specialty music markerboards feature surfaces with permanently embedded music lines that won't fade no matter how many times the notes are changed and make notes easier to read. 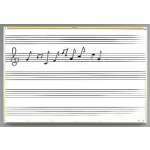 Magnetic surfaces are great for teaching younger children to sight-read. Choose from wall-mounted or mobile boards, depending on your needs. Where can I store musical instruments? If musical instruments aren't taken care of, they won't sound the way they should. And the first priority in instrument care has got to be instrument storage. Musical instruments that are left around usually get moved carelessly, in addition to gathering dust. Randal Storage is one of the most popular manufacturers of instrument storage, and Hertz Furniture is pleased to offer a huge selection of storage units to fit a wide range of instruments, from piccolos and violins all the way to tubas and cellos. Most units are available with a choice of grille, solid and no-door compartments; beautiful musical appliqués can be added on sides and/or backs.These are the perfect place to store musical instruments. We know how hard it can be to put together a top-rate music room on a tight-string budget. Our team of financing experts can get you the best financing options available. Contact our Design Center and sales reps to find the products and setup best suited to your needs. Whether you're buying a few chairs or furnishing a new music wing, we at Hertz Furniture are here to make sure you get the very best your money can buy.